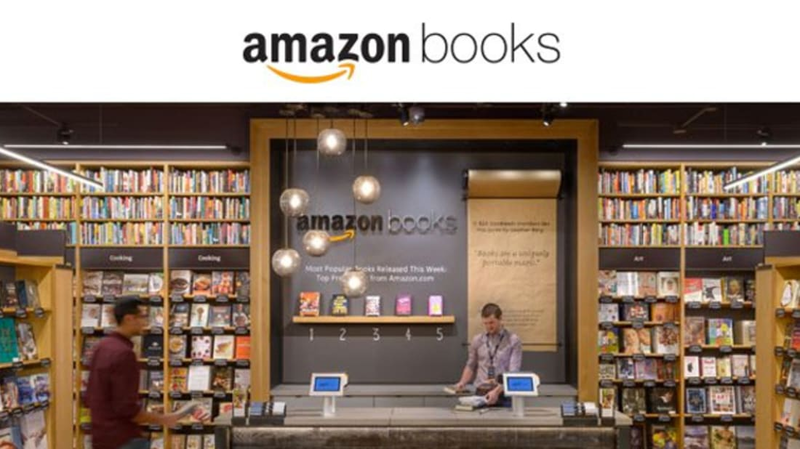 After 20 years of existing solely on the Internet, Amazon is finally getting into the bookstore game. Today, Amazon Books is opening in Seattle. The company's first physical store is located in Seattle's University Village, nestled right next to a Banana Republic. This brick-and-mortar location is a permanent store—not a pop-up shop. That means if it goes well, other cities might start seeing their own IRL versions of the Amazon site. The ability to walk in and look at physical books might be a draw for some, though some may still feel a fierce attachment to their neighborhood bookstores.